At VG247 our Fortnite knowledge gnomes no bounds. To give you a helping hand with this week’s challenge, we’ve scoured the map so you can search 7 Hungry Gnomes without the hassle of tracking down their creepy little voices yourself. You’ve got a couple of days left to hunt down these Gnomes – Fortnite Season 5 starts on Thursday, so be quick. The Hungry Gnomes are scattered in hard to reach areas of the whole map, so you’ll probably have to track them down over multiple games. Once you set you mind to it, it’s not so hard. Jusy don’t go hunting for gnomes thinking you can win Victory Royale and you should be fine. You can find one Hungry Gnome in the unnamed area to the northeast of Flush Factory. 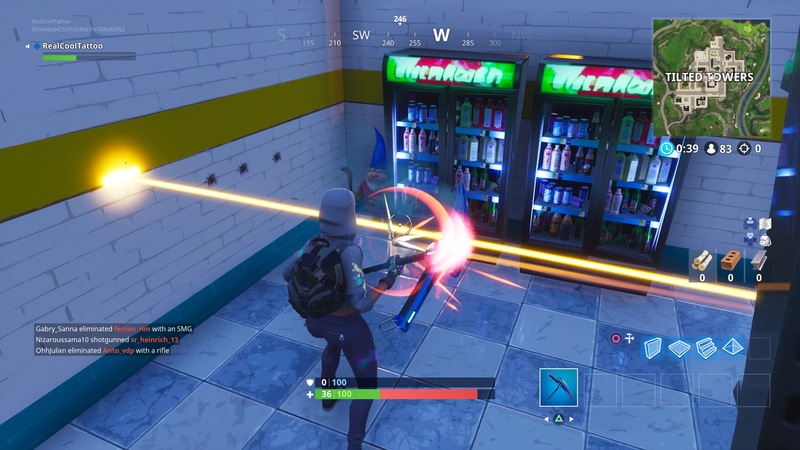 On the south side of the dancefloor in the large building in the north of the area, break the vending machines with your pickaxe and you’ll find a gnome. There’s another hungry gnome behind the counter inside the large building in Tomato Town with the giant tomato on top. 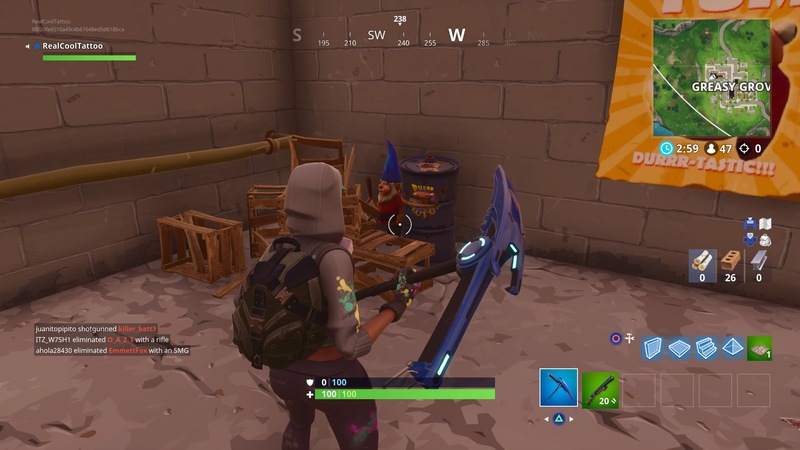 You can find a hungry gnome in the basement of the large burger joint in Greasy Grove. It’s down the flight of stairs on the western side of the building. 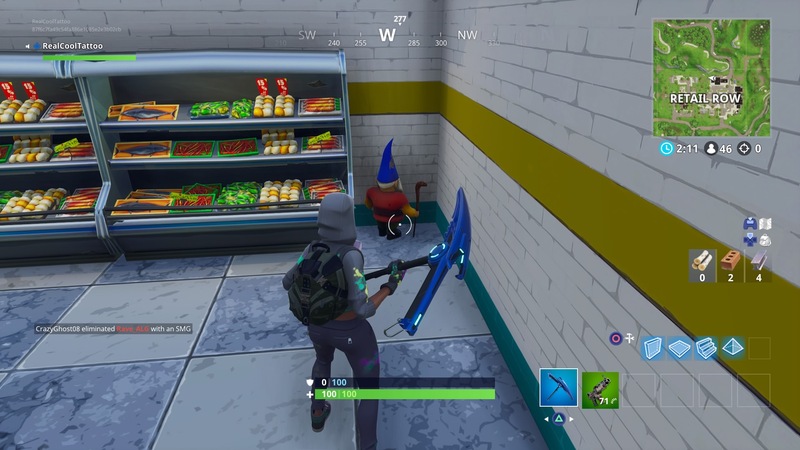 There’s a hungry gnome in the gas station in the northeast of Pleasant Park. It’s in the corner between stands. In the map reference I7, there’s a gas station. You’ll find another hungry gnome behind the cashier desk. 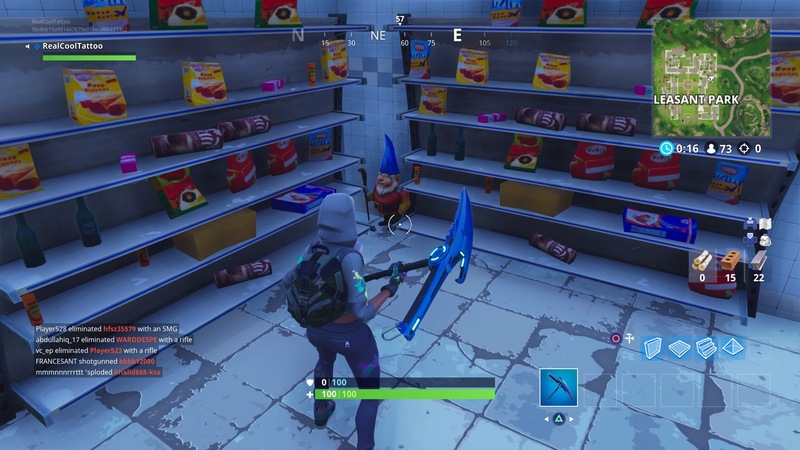 There’s another hungry gnome in the large that’s in the grocery store in the northeast corner of Retail Row. It’s behind some boxes in the northwest corner. 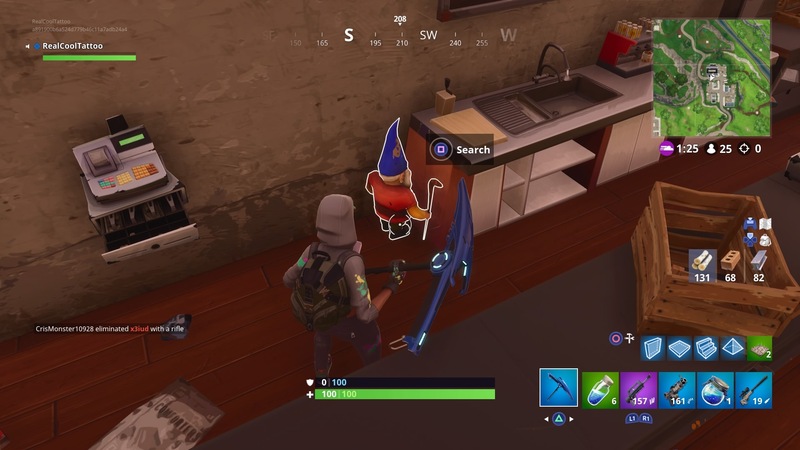 If you head to the centre of Tilted Towers, you can find the last gnome you’ll need to complete your challenge in the corner between some shelves. 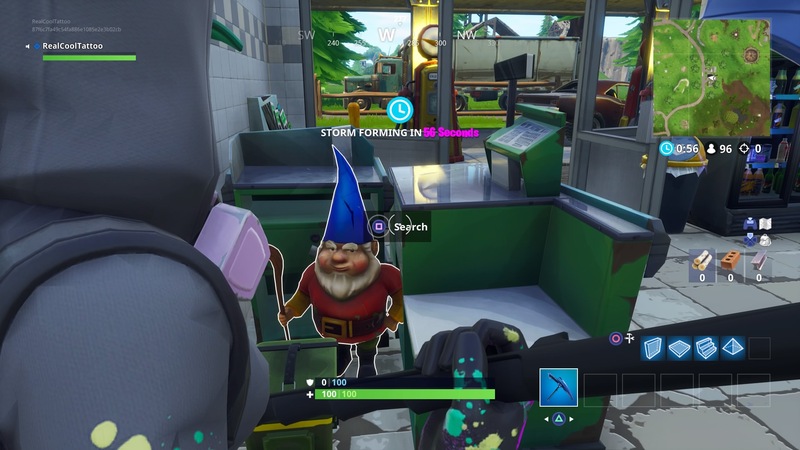 You can find another gnome in the gas station in Salty Springs, but it’s near a chest – which is another challenge this week – so really hard to get to. There’s another hungry gnome in the northeast corner of the new soccer pitch to the north of Pleasant Park. 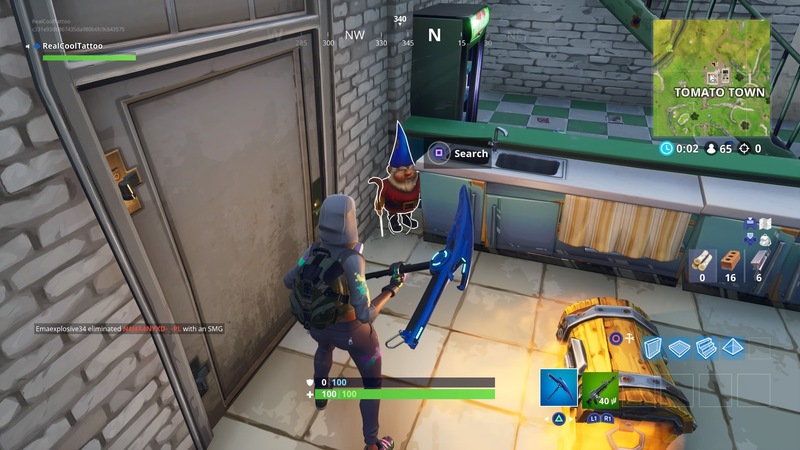 You can find another hungry gnome just to the north of the indoor soccer pitch to the west of Tilted Towers. In the unnamed area to the south of Shifty Shafts, there’s a gnome in the northwest corner of the large building in the north of the area. There’s a hungry gnome in the central south of Lucky Landing. In the central east of Risky Reels, you can find another gnome. You can find another hungry gnome in the unnamed area to the south of Dusty Divot. It’s in the northeast of the area. There’s a final hungry gnome in the building in the southwest of Moisty Mire. We’ve also tracked down every spawn location so you can search 7 chests in Salty Springs.